Geoffrey Wheatcroft is an English journalist and author. His books include The Controversy of Zion, The Strange Death of Tory England, and Yo, Blair! He is finishing a study of Churchill’s life and afterlife. 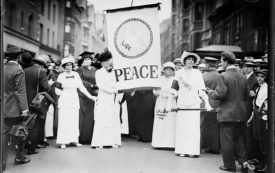 The ardent but flawed movement against World War I.